I spent the very first minutes of 2012 being inducted into the Chicken Feet Hall of Fame. 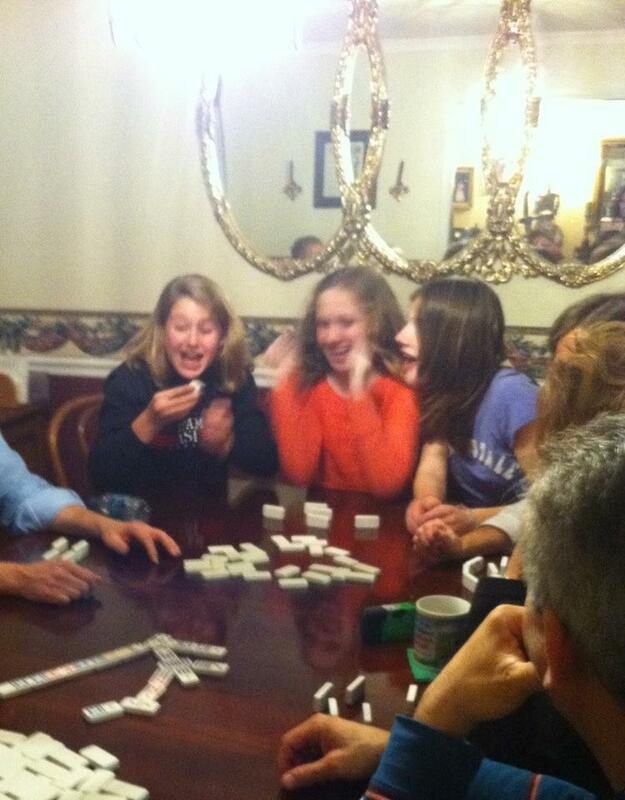 I adore my friends and had such a great time kicking back and beating them at a domino game I’d never played before. 🙂 Admittedly, I didn’t exactly win every round. And…I didn’t exactly play alone; my dear strategic master husband was my partner! With our combined brain power, we won exactly TWO hands. The best part of the night was watching my daughter and her friends get into the game. Please pardon the blurry image — the excitement was so intense that my camera phone almost exploded. Or maybe I was doing little jumping around myself. 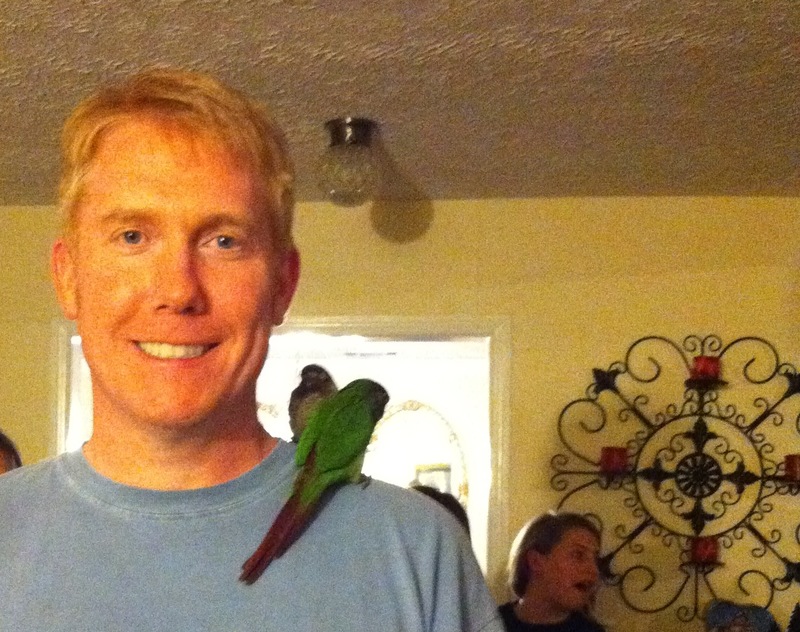 Oh, and my other favorite part of the night was watching my husband play with the birds. 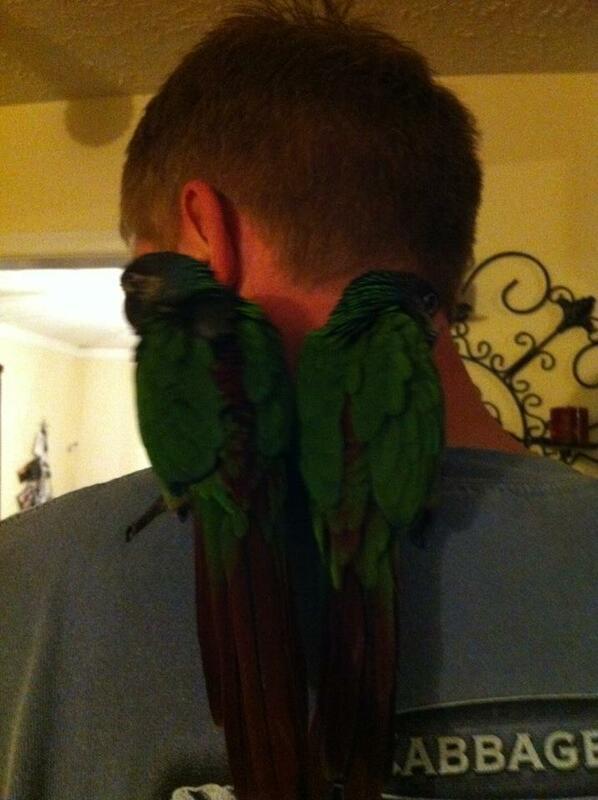 These conures belong to our friends who hosted the New Year’s Eve party. 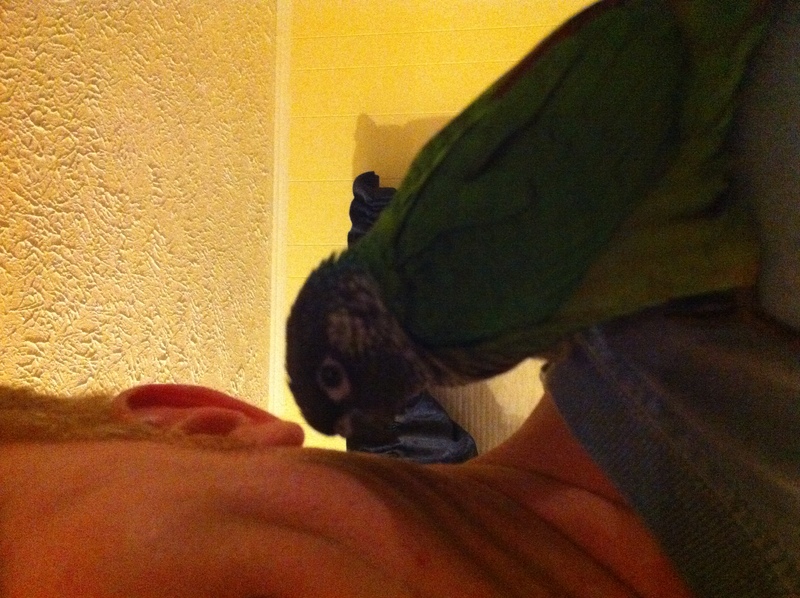 For some reason, my husband has never met a bird that didn’t immediately bond with him. Trips to aviaries inevitably lead to birds perching on his head, his shoulders, his arms, his fingers. Last night was no exception. These babies grabbed ahold of him and did not want to let go. I almost felt a bit jealous!